Julie Dawson submitted this photo and caption. 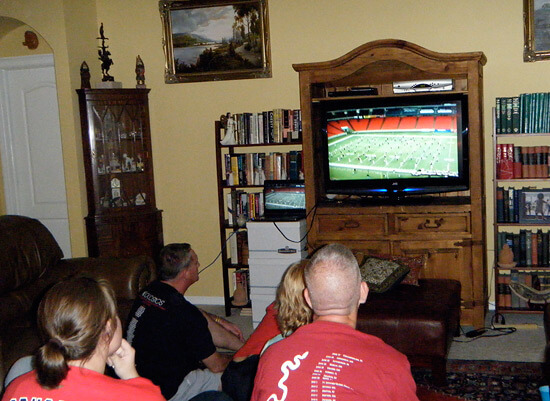 Since we couldn't make it to the 2009 Southeastern Championship in Atlanta, a group of us Boston Crusader fans had a Webcast party to watch our kids perform an awesome show online! Thanks Fan Network and DCI!